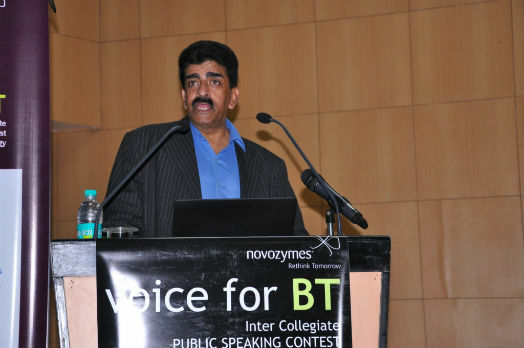 Noida: To promote Biotechnology in India and to encourage budding biotech professionals, Novozymes India Private Limited, supported by Association of Biotechnology Led Enterprises (ABLE) as Knowledge Partner organized North Zone Finals of ‘Voice of BT’- Biotechnology based Inter University Debate Competition at Amity University, Sector 125 Noida with Ms. Shreya Pal from Amity Institute of Biotechnology, Manesar emerging as the winner and received Rs. 20,000 and 6 months internship. Ms. Gunja Agarwal, Shiv Nadar University received Rs. 15,000 and 6 months internship as Second Prize and Ms. Sneha Bhatt, University of Agriculture Science & Technology, Jammu and Kashmir received Rs. 10,000 and 6 months internship as Third Prize. The competition, witnessed the participation of 16 students from various Universities/Institutes across India-North Zone including Solan University; Chandigarh University; Ashoka Institute of Technology and Management, Amity Institute of Biotechnology, Manesar; Jaypee Institute; IIT Delhi; Guru Gobind Singh University and Amity Institute of Biotechnology, Lucknow amongst others, wherein each participant were given 5 minutes to speak on one of the given topics including “2G Ethanol” is the way forward from an environment and economy point of view., “Nutrition and Food for all” is a big challenge with the growing population and increasing scarcity of food and Importance of ‘Water Conservation’ which is critical for providing drinking water for all. Congratulating the participants, Dr. Ashok K Chauhan, Founder President, Amity Education Group encouraged the students to believe in themselves and in their innovative ideas and advised them to have constant persuasion in life which will lead them towards success. He emphasized on the importance of patenting the innovations and pioneering ideas. Dr Chauhan stressed that is highly innovative and is on a strong growth trajectory. 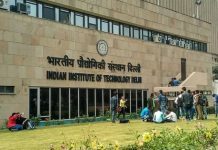 The sector has lot of growth opportunities for budding professionals as biotechnology is it future of the world with so many avenues of research available globally. 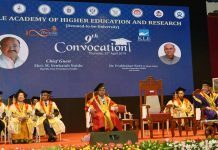 Speaking on the occasion, Mr. Narayanan Suresh, COO, ABLE said that there are 28,000 biotech companies established globally and 25 billion dollars are invested in Research and Development area. He mentioned that India’s Bioeconomy has touched 42 billion dollars with 18.77% growth industry. “The target for the industry is to generate the revenue of 100 billion dollars by 2025 which will subsequently provide jobs to 10 million people.” he added. Mr Suresh highlighted the reasons why the society needs biotechnology including to heal the world by using nature’ own toolbox and natural genetic makeup; to feed the world by improving crop resistance, enhancing crop herbicide through sustainable farming methods and to fuel the world by generating biofuel. Addressing the gathering, Mr. G.S. Krishnan, Novozymes, India briefed about Novozymes said that the company believes in working together with customers, partners and global community to improve industrial performance while preserving the planet’s resources by finding biological answers to further help in building better lives. He further added that biotechnology will bring new revolution in the world and majority of industries need biotechnology. He pointed out that Biotechnology will help in growing businesses through higher production output, sustainable growth, new differentiating products and water & energy savings. Mr. Krishnan averred that there are many opportunities in Biotechnology sector in Indian context such as, the country is known for its biomass and through the agricultural residue, biofuel can be generated which will help in energy and fuel challenges in future. The winner and first runner up will further compete with winners of other zones at National Level Finals in Bangalore.